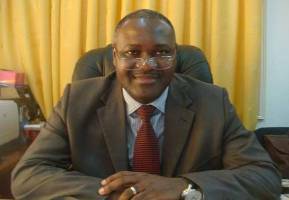 HomeNews in PerspectivePresident Koroma’s anti-corruption credentials in tatters? December 11, 2013 Abdul Rashid Thomas News in Perspective Comments Off on President Koroma’s anti-corruption credentials in tatters? If this week’s decision of the Millennium Challenge Corporation (MCC) is anything to go by, then there is little doubt president Koroma and his ministers have lost the moral argument about their fight against corruption in Sierra Leone, despite media propaganda. The US government’s MCC has once again rejected Koroma’s request for hundreds of millions of dollars funding, after failing to meet the necessary standards of good governance. With GDP growth for the next three years projected at very modest levels, this decision comes as a big blow to the president. The government has been pinning its hopes on America’s funding in support of its proposed Agenda for Prosperity, which according to the president will cost more than $5 Billion to implement. The government had also relied on the Chinese to make good on their promises to Koroma, when he visited China a few months ago. But president Obama on his visit to Africa, warned African countries to be suspicious about China’s promised glory. Koroma’s ten days state visit to Beijing was also followed by several other visits by his ministers, who surprisingly returned to Freetown with briefcases full of signed memorandum of understanding (MOUs) rather than signed cheques. By pitching tent and singing the praise of China’s leadership role in the world – including Africa, many in Sierra Leone feared he was needlessly putting all of his eggs into one basket. And the result of such a silly gamble is now evident. Many would say that, perhaps Koroma should have listened to Obama’s advice. The Chinese had promised to make available more than $10 billion of finance in support of Sierra Leone’s infrastructure development, rehabilitation of the country’s ailing energy, agriculture and fishing sectors, and the construction of a spanking new international airport. 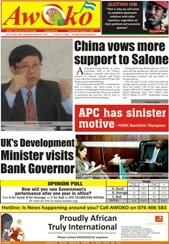 But last month, the Chinese ambassador to Sierra Leone delivered a keynote speech in Freetown. He said that Sierra Leone has to do more to attract Chinese investments. He expressed serious doubts about the promised airport construction project. 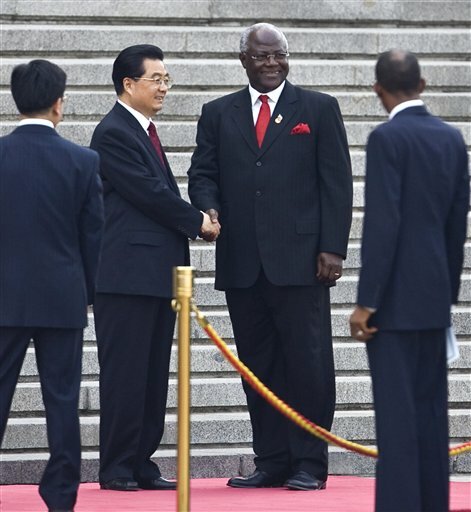 Has president Koroma and his government not done enough to woo Chinese investors? It is not clear why the Chinese now appears to have reneged on their promise of releasing $10 Billion of investments for Sierra Leone’s development. But what is certain, are the reasons for America’s rejection of Koroma’s bid for MCC funding. In a press statement released yesterday, the MCC said that corruption in Sierra Leone is an unacceptably serious problem, and that the government of Sierra Leone has failed its funding criteria. This decision is a very serious indictment of president Koroma’s much avowed mantra about his commitment to tackling corruption. It will no doubt, also be seen as a stain on his credibility and integrity, which could see other potential investors hold back on their investments. This decision by the MCC Board came yesterday – just twenty-four hours after Koroma delivered what he thought was an ‘earth shattering’ speech outlining his successes in tackling corruption, marking the United Nation’s international Anti-Corruption Day. “Upon assuming office in 2008, my government made the fight against corruption a priority and declared a ‘Zero Tolerance Policy against Corruption’. The Anti-Corruption Act of 2000 was subsequently repealed and a new Act was passed in 2008 that broadens the scope of offences and gives prosecutorial powers to the Commission to strengthen its independence and effectiveness. “My government has embarked on a number of reform measures and has recently initiated the ‘Agenda for Prosperity’ to guide our development aspirations. 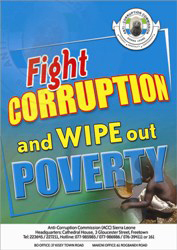 The fight against corruption is a fundamental component of Pillar 7 in that road map that will take the country to middle income status in twenty-two years. “At the international level, we have recently been reviewed on our country’s compliance, with the implementation of the United Nations’ Convention against Corruption and scored significant progress on Criminalization and International Cooperation. We have also been rated favourably in most indices released on governance and control of corruption by international bodies. “My government has put in place robust mechanisms to fight the scourge; our anti corruption laws are stronger now than at any time in the country’s history; my government has recovered stolen funds than at any time in the nation’s history; the office of the Auditor General now has greater latitude to do its work and publish its findings in record time than at any time in the nation’s history; we have ensured prosecution and conviction for corruption than at any time in the nation’s history. But the Americans are not impressed, nor are they convinced by Koroma’s platitudes about fighting corruption. The reality on the ground tells a different story. “MCC’s annual scorecards, which rely on third-party data to measure a country’s commitment to ruling justly, investing in its people and encouraging economic freedom, represent the best available individual measurements of policy performance. When choosing or reselecting partner countries, the Board also considers supplemental information to assess issues or recent events that may not have been captured by the scorecards”, says the MCC. The MCC it seems had gathered plenty of evidence with which to reject Koroma’s claim of good governance. Just two weeks ago, former fisheries minister and senior ruling party member – Afsatu Kabbah – a close friend of the president, who was found guilty of corruption, had her conviction overturned by the High Court in Freetown. Also, senior public officials and a deputy minister involved in the Bill Gates malaria cash scandal have escaped justice with impunity, despite the overwhelming evidence of their corrupt behaviour. Many believe that the persistent failure of the Anti-Corruption Commissioner to convict senior government officials has seriously damaged Koroma’s ‘no sacred cows grazing in my backyard’ mantra. The president is refusing to sack the ACC Commissioner, despite several years of poor performance. What is shocking about the manner with which Sierra Leone is being governed today is that the abuse of power with impunity, is once again becoming standard practice – rather than the exception. The arrest and jailing of journalists for taunting the president and figuratively referring to him as a rat, has damaged Koroma’s international persona. President Koroma knows he can do more, and must be held accountable as he continues to fail to uphold justice, and law and order in the country. 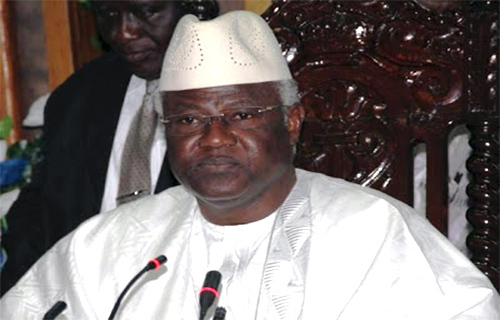 The MCC has given its verdict on Koroma’s record, after six wasted years in office. In effect, there is not much confidence coming from the international community, that Koroma is capable of doing what is right for the good of the people. The president is all too aware of the task ahead. He accepts that “corruption is one of the biggest challenges of our time. It slows down development, distorts trade, undermines the security of our state, and weakens the economy and social fabric of our society. It is responsible for the vast inequalities in our present society and worsens poverty, the poor being the most affected”, but yet he is too helpless to act. But no one is denying that achievement. What is in contention is the lack of political will and commitment to administer, enforce and monitor the very laws and institutions that the president himself has established. 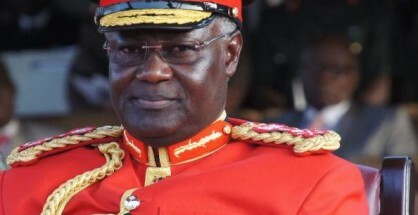 And as usual, pointing fingers at the small fries that are all too often caught by the conveniently porous net of the Anti-Corruption Commissioner, president Koroma is blaming demoralised frontline public sector workers, for the disgraceful state of corruption in the country, whilst a blind eye is turned on his overfed sacred cows. Although the MCC has rejected Sierra Leone’s bid for hundreds of millions of dollars needed to tackle poverty, it expressed hope of a Sierra Leone, where corruption is the exception rather than the norm. “We are very concerned when a country does not pass the control of corruption indicator,” MCC’s Yohannes said. 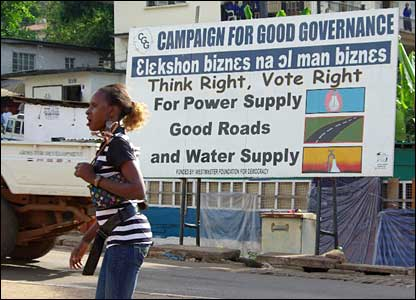 Other African countries are forging ahead, including Sierra Leone’s neighbour – Liberia. “After careful consideration of previously selected countries’ performance, the Board reselected Ghana, Liberia, Morocco, Niger, and Tanzania as eligible to continue development of their respective compact proposals”, says the MCC. “The Board selected Lesotho because it has consistently demonstrated a clear commitment to democratic governance and sound policies. A new compact with Lesotho offers MCC the opportunity to have a significant impact on reducing poverty and creating economic growth in the country. “Lesotho successfully completed a five-year, $363 million MCC compact in September 2013 that helped expand water supply for household and industrial use, strengthened the country’s healthcare system and removed barriers to foreign and local private sector investment. “The Government of Lesotho demonstrated a strong commitment to the compact, and will have spent $50 million of its own money to complete construction and fund complementary investments. Can Sierra Leone emulate Lesotho? And what does president Koroma say about changing the culture of corruption in high office? “As we commemorate this year’s International Anti-Corruption Day, I would like to renew my commitment to the fight against corruption and call on all Sierra Leoneans – including foreign nationals to stay away from corruption and help build a better Sierra Leone. We must resist, report, and reject every temptation to engage in corruption for the betterment of our nation”, says the president. And its certainly not funny. But lest we forget: President Koroma and his ministers may have declared their personal assets – according to the Anti-Corruption Commissioner – a cousin of the president, but where is the evidence? Where is the transparency? How much was the president worth when he first came to office in 2007? And how much is he worth now? Is it true that he is one of the richest presidents in Africa?